SPRINGFIELD, OH – Konecranes offers durable, compact manual hoists for environments where electricity is impractical or not available. Manual hoist can also used for maintenance applications. 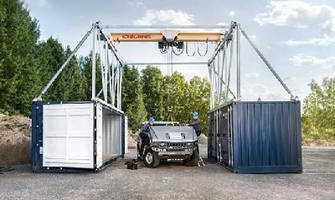 As part of its extensive hoist offerings, Konecranes offers four kinds of manual hoists: the KL and KLP Manual Lever Pullers, the KM Series II Manual Chain Hoist, and the Army style hand chain block hoist. Load ranges are available from one-fourth- to 20- ton. All models provide an economical solution for a variety of manual lifting applications and have been designed to offer safe operation when used appropriately by a trained operator. An important component of hoist safety is its durability. 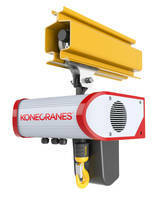 On Konecranes models, the alloy steel chains are galvanized for corrosion resistance and dual Pawl Weston-style brakes with two friction discs not only provide four braking surfaces, but also are enclosed to protect against dirt. The hoists and lever pullers fully comply with the demanding international standards required by ASME B30, and an open chain path allows simple inspection and cleaning. In addition to their durability, Konecranes manual hoists and lever pullers offer exceptional adaptability. With a compact and light weight design, they can be easily used in many locations and installed into existing equipment. Customers can also choose a hand-geared chain trolley or manual push trolley, both of which are offered in standard and low headroom configurations. The KL and KLP manual lever pullers are able to operate in tight spaces with 360 degrees handle rotation. Models are also available with non-standard lifts or for hazardous environments. Konecranes further extends the reliability and lifecycle of every hoist with a network of service technicians – the largest in the industry. In 2012, Group sales totalled EUR 2.170 million. The Group has 12,100 employees at 626 locations in 48 countries. 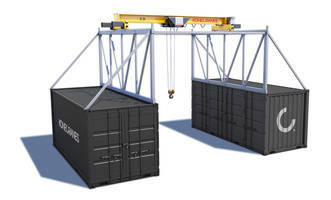 Konecranes is listed on the NASDAQ OMX Helsinki (symbol: KCR1V). Hydraulic Tube Puller removes old tubing.